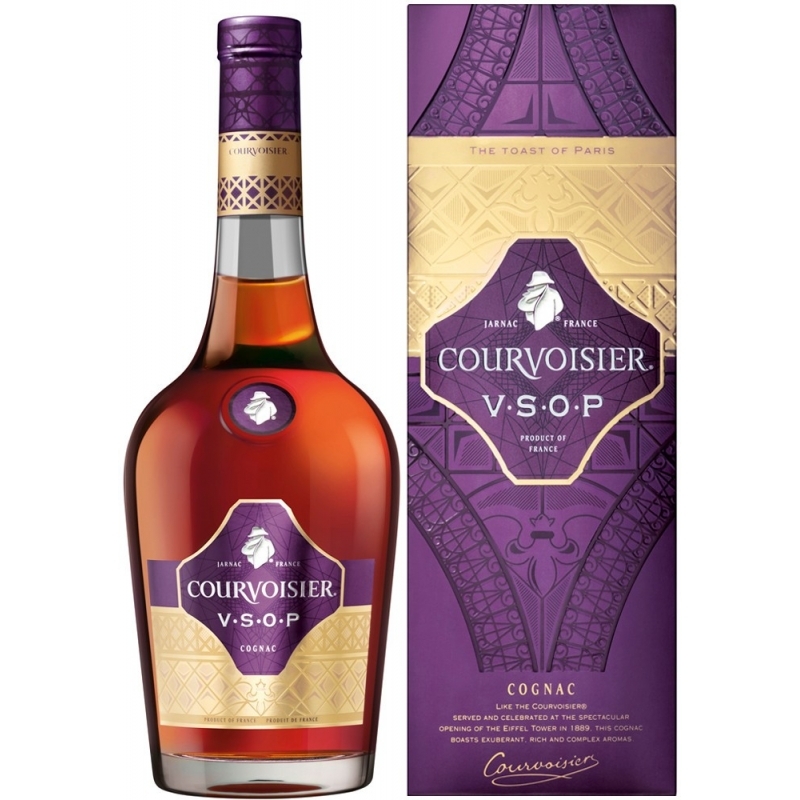 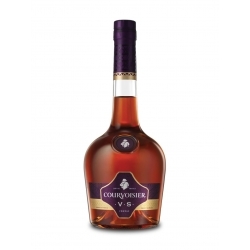 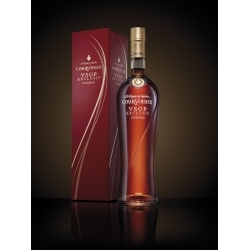 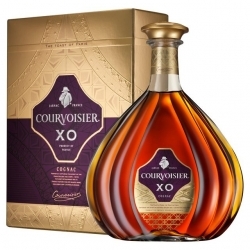 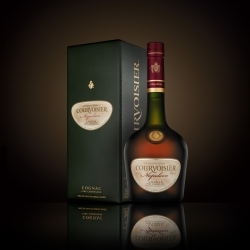 Courvoisier VSOP Cognac : Powerful notes of vanilla, roasted nuts and dried fruits. 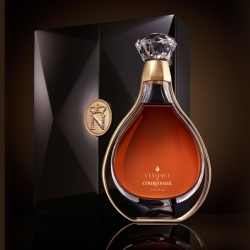 Fins Bois give a fruity character, Petite Champagne the depth while Borderies add rich exotic sprice. 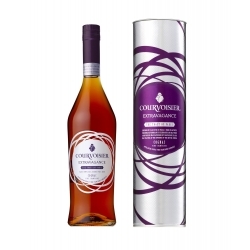 "Superb aromatic balance for this cognac to be appreciated neat, mixe with ice and water or in long drink." 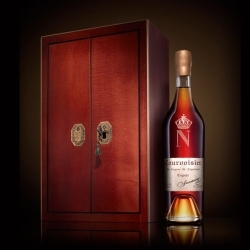 Ageing in new French oak casks creates punchy aromas of vanilla and roasted nuts. 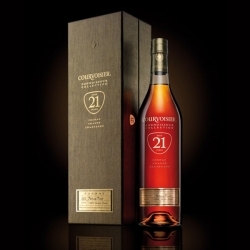 A second ageing in traditional casks gives notes of dried fruits. 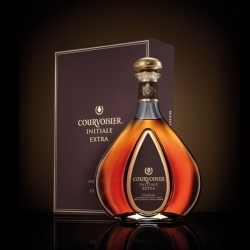 Then the marriage in ancient wooden vats adds an unrivalled richness and complexity, to deliver delicate floral notes.